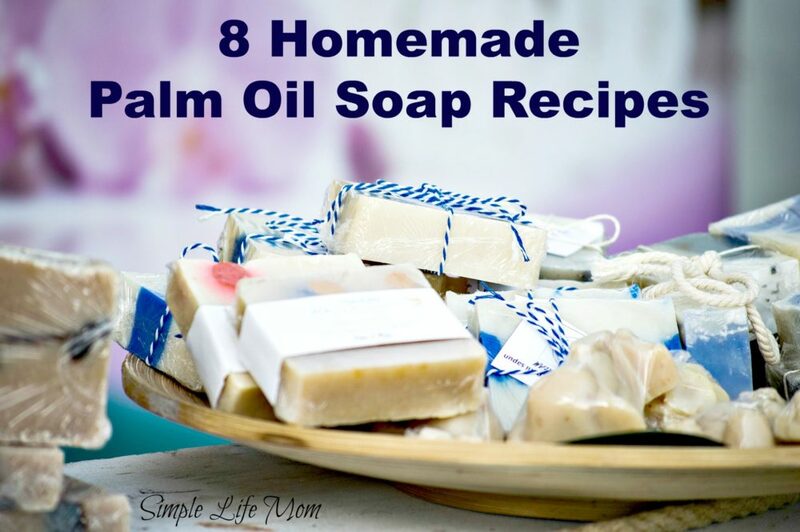 I’ve put together these 8 homemade palm oil soap recipes because a lot of people like to use palm oil in their soaps. It makes a good hard bar with a creamy lather that will last longer. Palm oil can be used in place of tallow in a favorite recipe you have, but I, personally, keep palm oil at or below 30% of the added fats because I think it can dry out the skin if it is the greater percentage of fats (as can coconut) unless superfat content is raised as well. There is a difference. Palm oil is made from the palm fruit, while palm kernel oil is (as the name implies) made from the seed of the fruit. 50% of Palm oil is saturated fat, while 80% of palm kernel oil is saturated fat, though they both usually appear solid at room temperature. In soap making, each oil you choose will have different properties that it brings to the recipe. Palm oil is more interchangeable with tallow and produces a hard bar, it is not the best at cleansing or conditioning (which is why you combine it with certain other oils). While palm kernel oil is more like coconut oil and is better at cleansing and producing a bubbly lather. There has been controversy concerning the deforestation of Palm areas due to its cheap production. But there has been a lot of combined effort by many organizations, including the Roundtable on Sustainable Palm Oil (RSPO). Some brands like “Bramble Berry” sell only RSPO approved Palm Oil. Others have written books or booklets concerning the illegitimacy of the controversy or the lack of effectiveness by the RSPO. All in all, it is a personal choice, just like driving a car. I enjoy using palm oil to make soaps especially for my coconut allergic family members. If you are adding essential oils, I prefer 1 oz at trace per pound of soap, but that will vary depending on the specific oil’s potency and your preference. Combine waxes, fats and/or oils in a large stainless steel pot and heat over low until all oils are melted and combined. Cool to about 100 degrees Fahrenheit. Outside, slowly add lye to the water (Be careful. Wet lye will burn your skin if it touches you. Don’t inhale vapors that come off of lye water for about 60 seconds.). Stir until dissolved. Cool to 100 degrees Fahrenheit. Pour into a mold and insulate for 24 hours. 3lbs, 10% superfat. Castor oil makes a great bubbly soap that a lot of people like for shaving. 3 lbs, 5% superfat. This is a harder Bastille bar with a natural chocolate scent. 3 lb, 10% superfat. This soap is great at conditioning the skin, is a nice hard bar, and it smells great even without essential oils. 3 lbs, 5% superfat. A great all around bar with good hardness, cleansing, and bubbles. 3 lbs, 5% superfat. For all of you with coconut allergies, or wanting to make some for those with allergies, here’s a great recipe for you. I hope you find these helpful in your own creative adventures. Have fun and remember that you can ask questions any time and I’ll get back to you as soon as I can. Okay, so now I have some great recipes. I need to make some soap. That’s right! 🙂 Have you made soap before? Good recipe however I always try not to use palm oil or anything derived from the palm fruit because there are massive deforestation and lost of species in under developed countries, in particular, Indonesia and Malaysia because of the unsustainable practice. Awesome! I think you should mentioned that in big. This sounds great. Can I substitute water for goat milk in the recipe for the soap? Thank you so much! I have been looking around for so long for recipes for our soap. We just started making our soap. Having fun with it too. Made our first batch of lavender soap…….smells so good & feels good too! And you are right – lye was a bit scary at first – but not anymore. Piece of cake! Hi. I am new to soap making and absolutely love it. So thanks for sharing your expertise and recipes. I am just curious if Essential Oils and Fragrance Oils can be used together in a soap? May I also say I love your blog. Thank you so much. Yes, you can use fragrance oils with essential oils, though I would not recommend fragrance oils because of their chemical content. I am thrilled to find your website and your lovely soap recipes. Especially your info on Palm Oil. Until a couple of months ago we couldn’t buy it here anywhere until the Costco got in Organic Red Palm Oil. (It says Certified Sustainable). In fact I couldn’t find anywhere it in Canada. 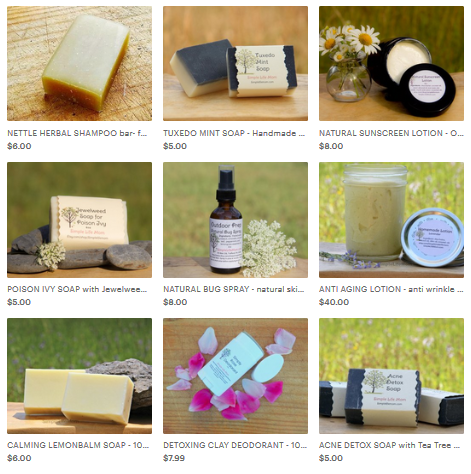 There are very very little soap making supplies available here in Nova Scotia. So can you tell me Kelly, because I can’t get Kemp Oil nor Palm Kernel Oil, what can I replace them with. I can’t wait to use my Red Palm Oil in your recipes, it will be my first Palm Oil soap. Yesterday I made a batch of Pine Tar Soap. I am a bit of a rookie, this was my 5th batch of soap. I love making make. Trilled to find you Kelly. Looking foreword to hearing from you. Have a wonderful day. You can use red Palm oil in place of coconut oil in a recipe. Go to my homemade soap page (tab on top menu) and choose a soap recipe that is basic if you don’t have a lot of the other ingredients. 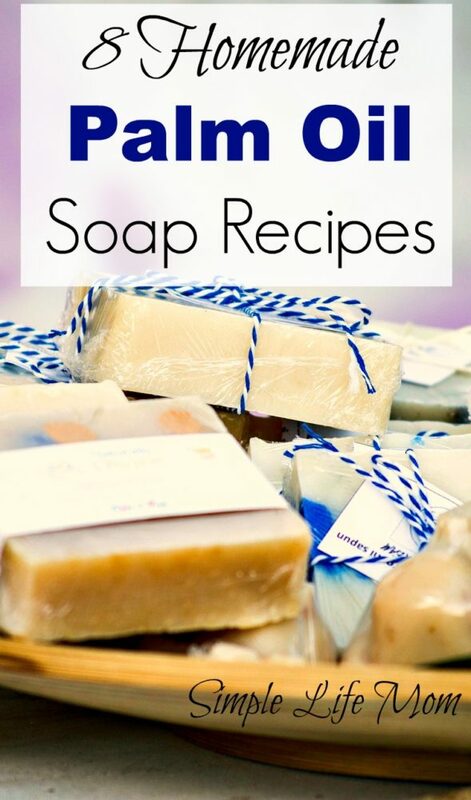 You can make a soap with tallow or lard, olive oil, and your red Palm oil along with your lye water and essential oils and it will be a great bar. Remember that the red Palm oil will make a dark reddish brown bar, but it will be very bubbly and works great! Let me know if I answered your question or I’d you have more. Good morning. Do you have a soap recipe of 100% Palm Kernal Oil? Id like to quickly learn how to make it, and duplicate the technique for women in the Congo next month. My hope is for them to learn the skill and be able to sell Palm Oil Soap. You would want to use Palm oil, not Palm kernel oil. Yet I still do not advise it. It can dry out the skin and will not cleanse well….kind of defeating the purpose. If you had at least two oils to choose from it would help. I grew up not too far south of there and we had a number of oils, some cheaper than others. I’d find out what’s available and make a recipe from that. Let me know and I will help. Palm oils come with orange ,red and other colors . Would it interfere with your other colors at the end ? Yes it does matter. You can find white palm oil. Reds will make your soap very dark. Red palm oil made my soap pumpkin-colored, which proceeded to turn a pretty yellow during cure. Interesting that you never know what you’re going to get in soaping. Hi. I was looking around for Palm Oil and Palm Kernel Oil soap directions and your site popped up. Thank you. Thank you so much. I am at a Sewing retreat right now and can’t wait to get home to try one of your directions. I am new to making soaps, less than 2 years now. I don’t make money from this as all of the money I receive, I use for our funding for missions and church functions. Your information is very helpful. I normally hot process my soaps and wonder if your directions will work well with hot processing. If you have any thoughts on this, please let me know. Again, thank you so very much for this information. Yes, you can hot process these recipes. Bring the soap to trace and then hot process as you usually do. Castor oil and shea butter soap has a stickiness to it. Will it go away as it sits or is there to much castor oil. Sometimes she’s can have that effect. It should cure great though. It’ll need 4-6 weeks. You should see a big difference. Thanks. Very informative about soap making. Yes, but make sure you run it through a lye calculator first! Hi, what is the superfat percentage you used in these soaps please. Hi Lana, I’ve updated the recipes so that all that information is there for you. I have recently been making Yoghurt and straining off the whey. I have heard that you can make soap using the whey but have not been able to find a recipe for it. Have you ever tried using whey or do you have a recipe for it? I’ve never tried it, but I don’t see why you couldn’t use it in place of some or all of your water in your favorite recipe. I’m not sure if that would add a higher sugar content. If so, just watch for any over heating. What started as a desire to make gifts rather than buy has turned into near obsession. 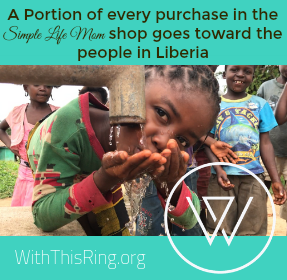 I had no idea at all how well SOAP would go over as gifts. What do men know, anyway? I’m now to the point where I’m culling recipes and concentrating on different liquids. The chocolate bastille and butter soap recipes are firmly locked into the rotation. I’ve made both with milk, coconut milk, aloe juice, dandelion tea, rose tea and on and on. Everybody loves them. Coconut milk and aloe juice are my favorites, and as you said both smell great, if you don’t mind your shower smelling like chocolate,so no EO needed. Thanks so much for sharing. Lye calculators will have small differences. Also, is your water and superfat set at the same percentage? I have a question about the “Palm Kernel and No Coconut” recipe. We have coconut allergies. The recipe calls for: 2 oz Sweet Almond Oil, 2 oz Castor Oil, and 2 oz of Shea Butter. Can these 3 ingredients be replaced by a total of 6 oz of Shea Butter? If so, does that change the amount of Lye needed? Many thanks! It does change everything. Go to soapcalc.net and put in the ingredient and amounts you want to use. Calculate the recipe and on the next page it will show you recommended lye and water amount. You can see at the bottom qualities of your recipe.